Caviezel, a devout Roman Catholic, seems to possess a rare idealism on behalf of his religious commitments. 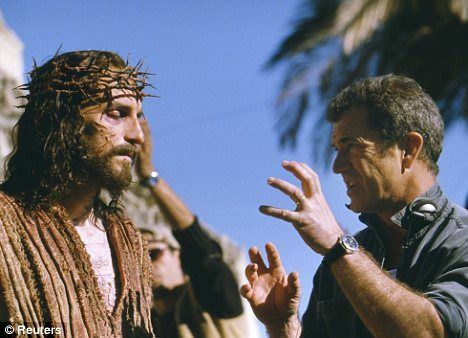 His decision to star as Jesus doubtless cost him millions. But don’t expect any angst about modern day blacklisting of true idealists like Caviezel carried out by Hollywood with no government pressure at all. Indeed, it is well known that overt Christians and conservatives are blacklisted in Hollywood. This ability to create real economic consequences for people who have attitudes they don’t like is a huge source of Jewish power. And of course, it’s part of a wider pattern in which people who get off the reservation on a whole range of issues, from immigration to White identity, to criticizing Israel or commenting on Jewish influence in the media or elsewhere, find that their prospects in life suddenly take a very sharp turn for the worse.